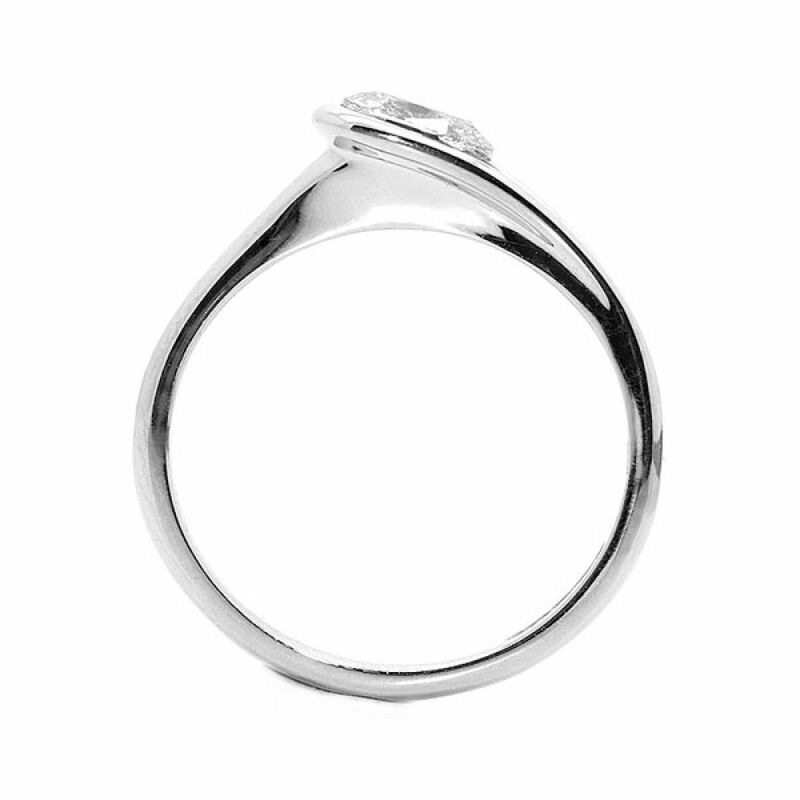 A unique Oval diamond engagement ring with loop style setting. 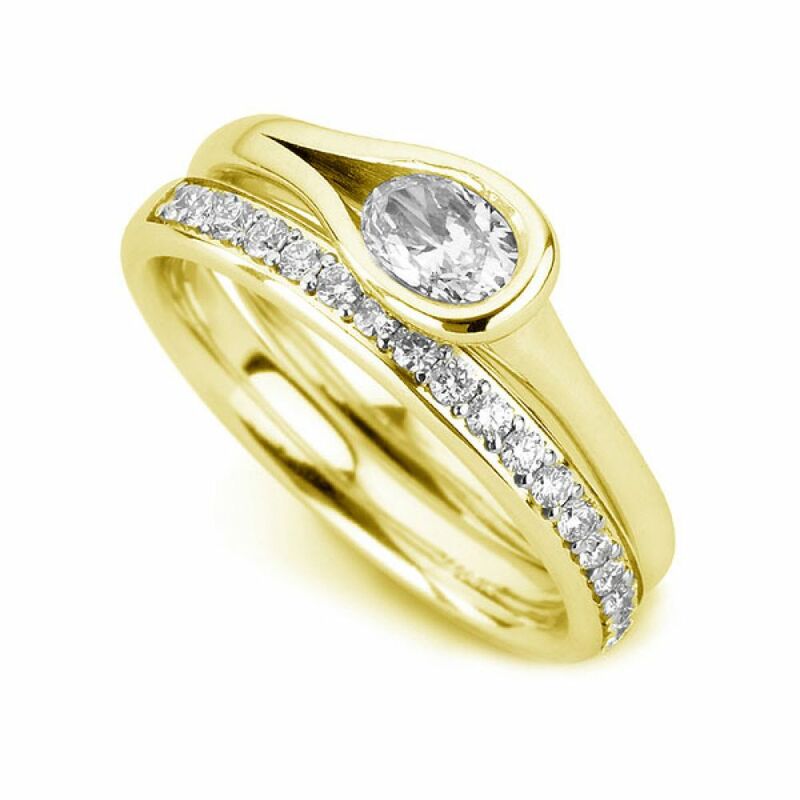 Our unique Oval Brilliant cut design has a beautiful loop styled bezel setting around an Oval cut Diamond. 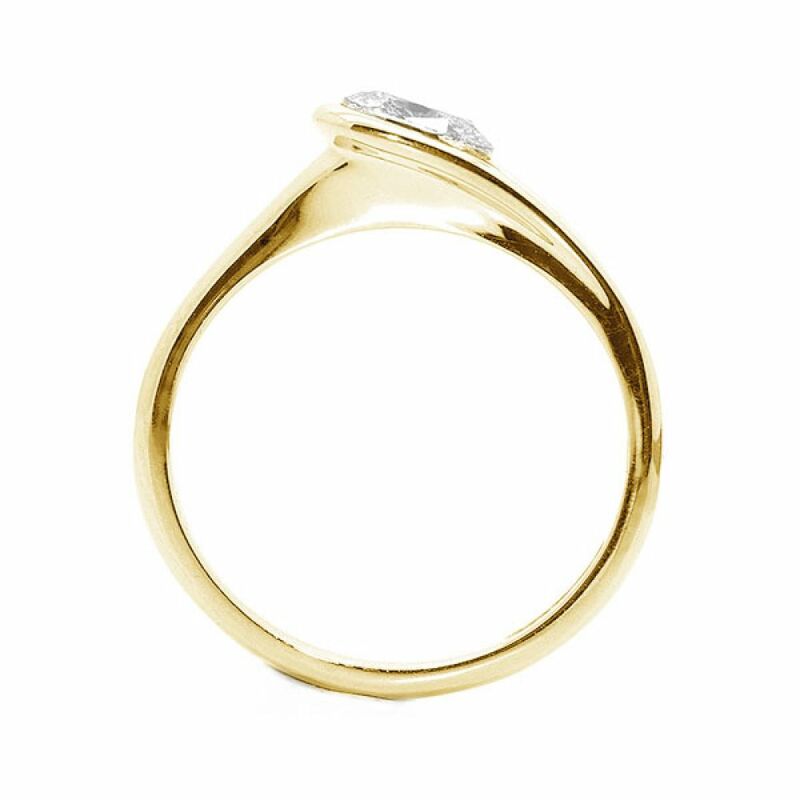 With a court ring profile, this ring is available in 18ct White Gold, 18ct Yellow Gold, 950 Palladium and 950 Platinum with an additional Fairtrade Gold option with 100% ethically sourced gold. Shown here with our Diamond Wedding Ring RWB008. Please allow 3-4 weeks for us to create this stunning ring and deliver it securely to your door. We can offer the added reassurance of a 60 day money back guarantee and a free ring size adjustment should you need it.